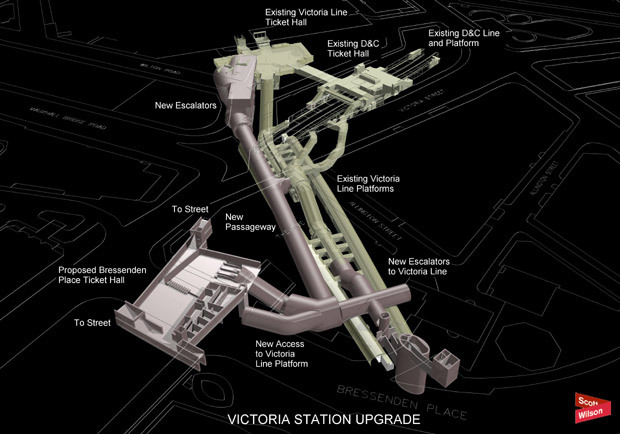 TfL have released some more details of the expansion of Victoria Tube station, especially this hi-res image of the plans. Compared to the previous image, the enlargement of the existing ticket hall at the mainline station end is much more extensive. I'm not sure what's going on with the escalators numbered 12, which the label says run "between South Ticket Hall and street level" but in the diagram appear to go from the ticket hall downwards.